Fantastic News, We WON !! 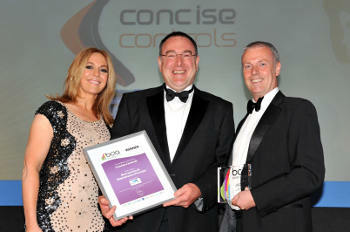 We are very proud to announce that at the recent annual Building Controls Industry Awards Concise Controls were awarded the Best Service & Maintenance Provider 2014. What was especially gratifying was that we were judged by an independent panel of our peers within the industry. We must thank our clients for working with ourselves over the years allowing Concise to building up the working relationships required to provide the level of service we strive to achieve and maintain. Concise Controls has been selected as one of the finalists for the BCIA (Building Controls Industry Awards) for Best Service & Maintenance Provider 2014. The judging is to be completed by May with the winners announced at the BCIA Awards Evening event on May 8th in Warwickshire. We shall be there with our black ties. Watch this space! 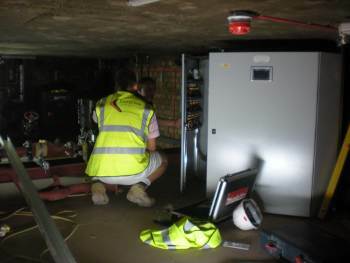 We have been successfully integrating Daikin AC systems on to the BMS at a large north London university. The works were both varied and interesting and involved both Daikin AC & VAM units. The interfacing was by three different methods depending on the project size, these ranged from large scale projects utilising BACnet, medium sized projects utilising RTD network interfaces and small works utilising KRP cards. Concise Controls Celebrates our 10th Anniversary. August 2012. What an achievement, 10 years on and were having our best year ever, despite the double dip recession. Good client relationships with High integrity from our staff. Providing the systems our clients require. Providing quality installations with our dedicated installers. The gravity we place on the commissioning and hand over of the BMS system. The successful completion of in house training of our first trainee engineer. To strive to maintain our high level of service and repeat business with all our clients. To employ out next junior engineer and instil in him our ethos which we work by. Expand our thriving maintenance contracts. During 2011 London's flagship BMW showroom in Park Lane underwent a full refurbishment which took 6 months to complete. The end result is a high class modern showroom with futuristic decor. Concise were chosen to refurbish the original 20-year-old control panels and replace the original, now defunct, Barber Colman control system with a modern Trend BMS control system. The showroom shall be opening its doors in all its glory in November 2011. Concise have successfully completed the installation of Trend BMS controls complete with new motor control panel for the installation of a Flakt AHU complete with numerous VAV\'s and chilled beams to keep the learning environment of the University perfect for the students. Working conditions for the controls installation within the mechanical plant room were a little testing at only 1.2m high, but the project was completed on time, in budget and with only one minor snag to rectify. The new control system was integrated onto the universities existing BMS supervisor via their own intranet. 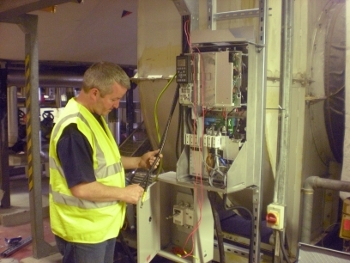 Concise Controls have just finished the replacement of energy efficient motor inverter drives. The works were driven on two fronts, the need to reduce energy running costs and the requirement to reduce the amount of air being supplied to the building. The motors, 2 x 75Kw and 2 x 55Kw are currently running at approximately 60% of the previous energy requirements. In addition the inverter drive costs are to be claimed back under the Enhanced Capital Allowance Scheme. Concise Controls have successfully completed the refurbishment of the heating and ventilation controls for St Bernard’s Mental Health Hospital in Ealing West London. The project involved integrating numerous IQ3 controllers on the site's existing Trend network over the local Intranet. Concise Controls now are able to offer site integration services utilising Trend’s BACnet enabled IQ3 range of controllers. The Trend IQ3 is the first BTL (BACnet Testing Laboratories) compliant controller available in the UK. The IQ3 controller is also a WEB enabled server in its own right. We have completed our first project for Sanctuary Housing London, to integrate a Toshiba Intelligent Server to a Trend main plant controller and then to a remote Trend 963 Supervisor Server. 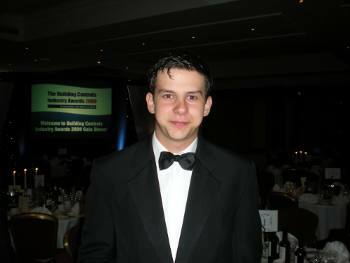 Our apprentice, Tom Williams has been voted runner up in the Building Controls Industry Awards (BCIA) for 2009. He was selected to be finalist in a nationwide search for the top “Student of the Year”. His achievement is a fantastic endorsement on his ability and dedication and underlines our commitment to training and progression of staff. Concise Controls are pleased to announce the recruitment of our first trainee controls engineer, Tom Williams. Tom has joined straight from college and has been enrolled on the inaugural “Trend Attitude” apprentice scheme, a four year dedicated controls apprenticeship. The Trend Attitude apprenticeship is the first ever true controls apprenticeship scheme for the HVAC / BMS controls sector. The scheme will lead to a new recognised qualification upon successful completion. The attitude scheme also provides specific training over and above the relevant college course and complements the hands on training he is receiving from our own engineers.